1. 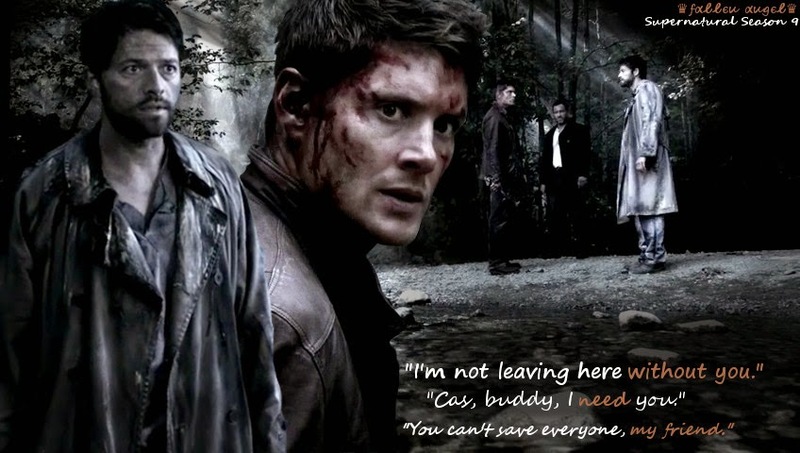 No matter how many times Dean or Sam die and go to Hell (or Purgatory, or Heaven) they will always come back. This was kind of a given since the show is about them. Still, I think the writers must have a contest every season on how best to kill off one of our studs. 2. 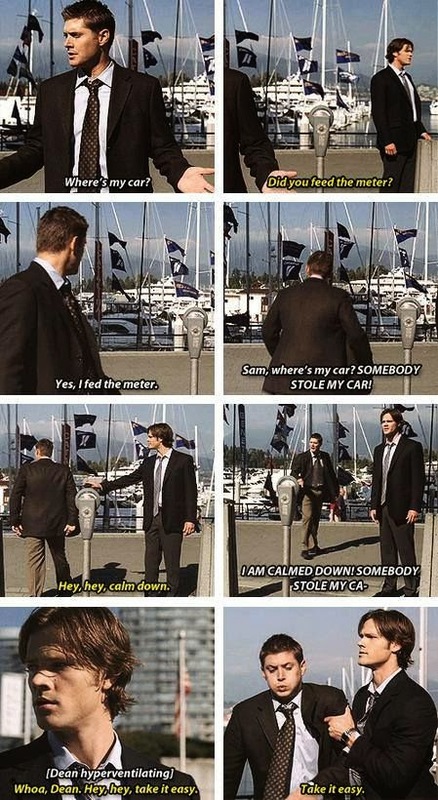 Bobby loves to say BALLS & Idjits like a lot. 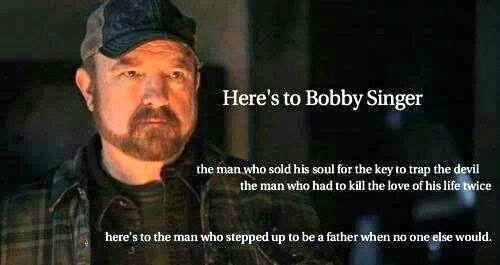 I love Bobby. When he died , I cried. Then he came back as a ghost and died again. I think the writers were having a contest on how many times they could make the viewer cry over the same person. I'm still not 100% he's not coming back some way or the other. I just started Season 8 people, there's still time! 3. Season 8- Dean is in league with a vampire?? What the hell happened in Purgatory and WHERE is CASS??? 4. 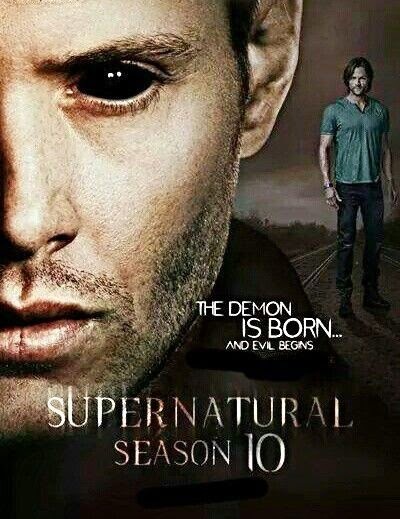 Season 10 *which just started for you non-viewers* teasers and commercials are KILLING me. 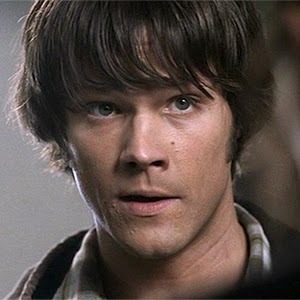 I don't want to know what's going on 2 seasons from now, but on the other hand - I really really do!! 5. Watching an entire series on Netflix completely spoils you for regular tv watching. No more commercials to fast forward thru (because we DVR all our shows to skip commercials), now there's just a moment of black screen and then moving on with the show. 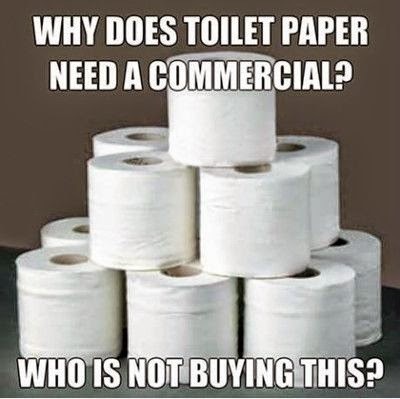 We have still not perfected the art of fast forwarding thru commercials- either you come up too short and have to watch the tail end of some toilet paper commercial or you go too far and have to rewind while valiantly trying to not look at the screen so you don't get a spoiler. 6. 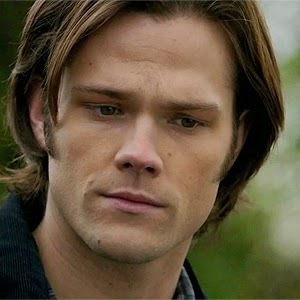 When you have watched 7 episodes in a row and they suddenly do a flashback to 4 years ago, you sit there yelling at the tv - No, Sam did NOT look like that four years ago. Come on!